It is easy to forget how many applications metal meshing has, both domestic and industrial. Just some include pond covers, barbecues, insect screening, stock car windscreens, fencing, roofing sheets, aviaries and pet enclosures, construction walkways, display stands and spark guards. The soundproof quality of perforated metal sheets are even used to enhance the acoustics of music rooms and lecture halls. 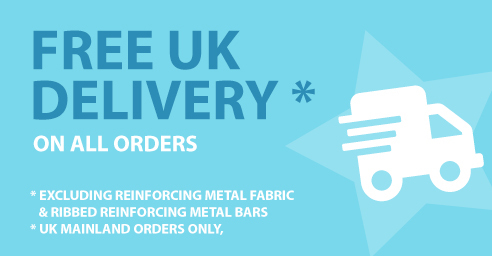 Please contact us if you require more information on any of our metal mesh ranges or your individual mesh requirements. Other metal mesh varieties include welded mesh, expanded metal mesh and woven wire, in finishes to suit many specific applications. See our new range of Aviary mesh. We have a comprehensive range of mesh clips available.